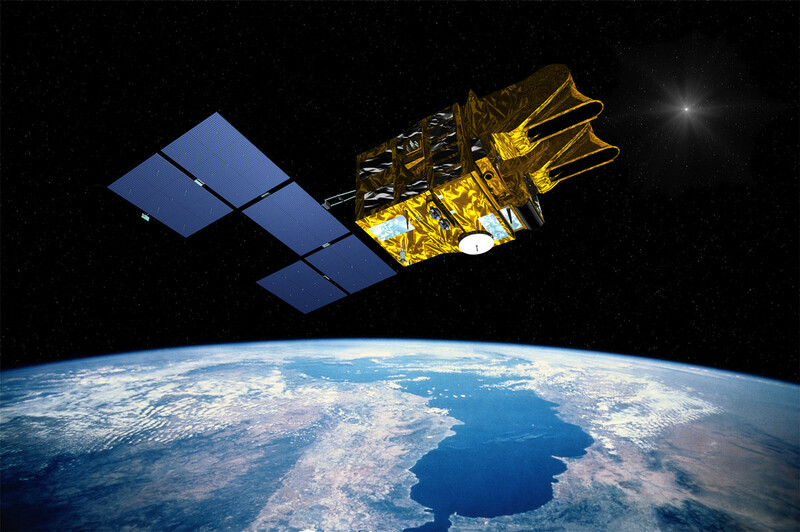 The SPOT satellites, conceived and designed by CNES engineers, are celebrating 25 years in service. During their career, three generations of satellites have brought users an ever-more-precise and complete picture of Earth. Artist’s view of a U.S. Landsat satellite. Credits: NASA. 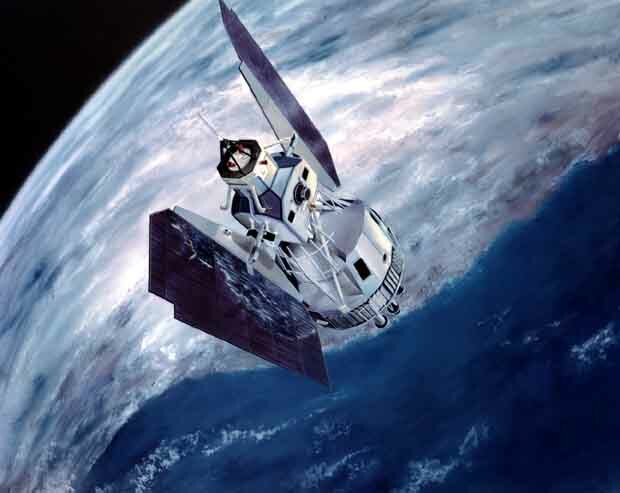 The SPOT 1 satellite, launched in 1986, was designed to observe cities, roads, farmlands, natural disasters and other features on Earth’s surface. It therefore found itself in competition with the U.S. Landsat satellite, the first Earth-observation satellite that entered service in 1972. Artist’s view of the SPOT 1 satellite. Credits: CNES. But SPOT 1 soon carved out its own niche. CNES’s engineers gave it steerable mirrors to be able to view on either side of its ground track, meaning it could revisit a site every 5 days and acquire relief imagery. Another strong point was its then unrivalled 10-metre resolution. The effective concept was soon to inspire many other European satellites. Measurements in the red and near-infrared bands characterize photosynthetic activity in plants, while the short-wave infrared reveals soil moisture and plant moisture content. SPOT 4 therefore helps foresters and farmers to assess and better manage forest and crop health. 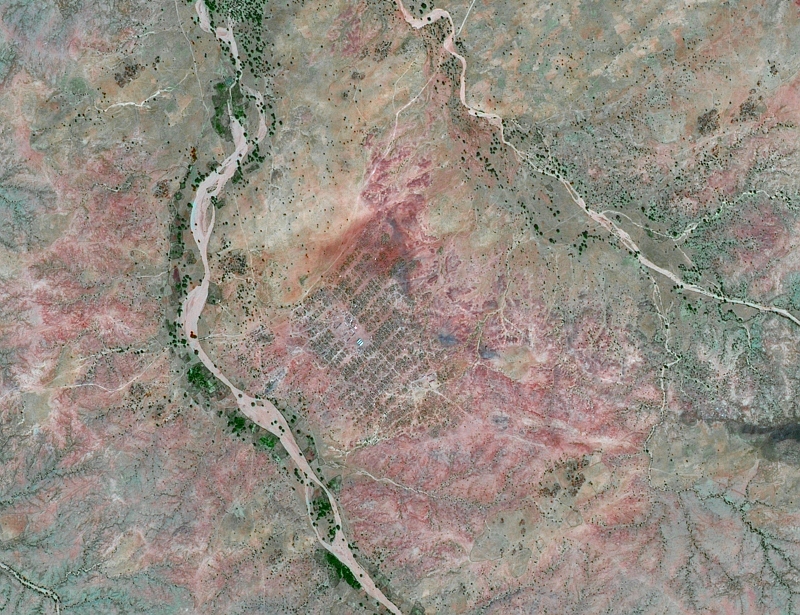 Refugee camp in Darfur seen by SPOT 5 at a resolution of 2.5 m. Credits: CNES/dist. Spot Image/Processed by QTIS, 2008. The gain in resolution offered by SPOT 5 and the many applications it serves have provided a boost to the emerging satellite imagery market. “Astrium-GEO Information Services is developing and funding the next generation of smaller and more agile SPOT 6 and SPOT 7 satellites. The SPOT series is fully operational and now capable of securing its own funding, which proves its success,” concludes Benoît Boissin. 22 February 1986 - SPOT 1 takes to the skies!